Alder Cottage has been lovingly restored to capture the charm of living in bygone days where tradition has been carefully balanced with modern living convenience. 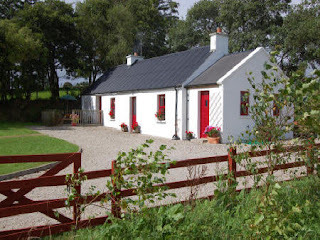 Set amid the gentle rolling hills near the village of Churchill, Alder Cottage has a turf/log burning stove in the vaulted main living area, two en suite bedrooms and a wood decked outdoor area with access from one of the bedrooms via french doors and a separate utility/laundry room, providing the homely atmosphere of a traditional Irish cottage in "The Hills of Donegal". The cottage has a private, tranquil setting and is ideal for hill walkers or those seeking a break from the hectic pace of city life.